Each day you hear about the importance of driving safely. While following the rules of the road, respecting the speed limit, and being mindful of road conditions are extremely important, they are far from the whole story. Being responsible behind the wheel is good, but it will not fully protect you in traffic. In order to be as safe as you can be, you have to be good driver and drive a safe vehicle which is capable of performing as it should in any condition and of protecting the occupants in case of an accident. In fact, in some cases, having a safe vehicle means more than the driver`s skill and can make all the difference in extreme situations. The electronic revolution in the automotive industry was a game changer in terms of safety. Modern cars with electronic systems, front-mounted radars, and adaptive cruise controls can not only warn you of a situation ahead, but they can also brake for you or keep you in lane. However, despite the fact that safety equipment is pretty much standard in all current models regardless of the market segment, we are all witness to the alarming number of junk cars or clunkers on the roads. The average age of vehicles on US roads is alarmingly high at 11.6 years old which means that there are big numbers of older cars and trucks that are tired, poorly maintained, rusty, or barely roadworthy, which means they are unsafe by modern standards. We know that not everyone can afford a brand-new vehicle. Still, holding on to clunker cars can be very dangerous and end up costing much more than a decent used car. This is why we strongly suggest you should invest in a modern set of wheels especially if you use your car daily or if your work depends on it. 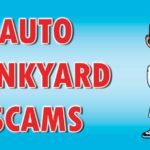 Today, we will tell you about ten dangers of driving around in a junk car. So, let`s get straight to it. Older cars, especially economy models, have far inferior braking systems than modern-day equivalents. Some older cars have drum brakes on the rear axle and no ABS, which means that their stopping distance is much longer than on modern vehicles which have four-wheel disc brakes, ABS, and even Brake Assist systems. Even if an older vehicle has a perfectly maintained and functional braking system, it is still much less safe than current systems since the stopping power is below average and it can hardly keep up with modern traffic. All this is especially important during the winter when good brakes are crucial. Old cars develop rust issues even if they were rust-protected by the manufacturer when new. If you live in a continental climate, chances are you drive your car during winter time when the roads are full of salt, which causes corrosion and affects all metal parts on the vehicle`s undercarriage. Rust could also pose a problem if your bodywork has been repaired after damage. But the least of your concerns is the aesthetics of the car. 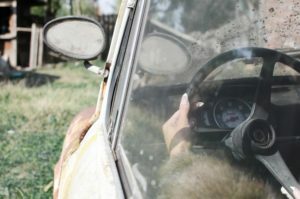 Aside from the fact that a rusty car looks ugly, problem arises when rust attacks the structural parts of the vehicle like the chassis or floor pans. In those cases, a car or truck loses the structural rigidity it once had and is particularly unsafe in crashes. Simply put, rust has eaten the metal and the vehicle is just not as strong as it once was. The biggest revolution in the car industry in recent years has been the advancement in passive safety, and modern cars with numerous airbags, knee bags and curtain bags are now extremely safe. 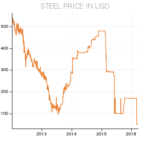 Also, manufacturers invested a lot into innovative production methods, new materials, and stiffer body construction so any current model, regardless of the segment or price, is as safe as or safer than yesterday’s most expensive models. You should have that in mind next time you sit in a car with no airbags, or just driver airbags, no crumple zones, no passenger protection cabin, or intelligent seat belts. Just 10 years in the car industry makes a whole lot of difference between current models and previous generations in terms of passive safety and passenger protection equipment. You might think that comfort is not an important aspect of car safety and roadworthiness, but you would be wrong. A car with a non-working heater or air conditioning, doors and windows that are stuck (or not sealing as they should), busted seats, or cracked dash, makes for a very unpleasant driving experience, and it can affect your driving since it will surely cause distraction. Current models are all much better in basic comfort with interiors in better shape, made out of durable materials and with working heaters and climate control systems. Those features make modern cars easier to live with especially during summer or winter. Older vehicles, especially those which were well used and have covered a lot of miles are prone to various mechanical failures. Practically everything can go wrong with an older car. In most cases, the repair bills are not that high, but if you calculate the frequency of repairs, prices of spare parts and, labor costs, you will see that an older car is in fact a much costlier proposition than a newer model. 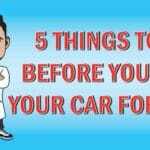 Even if you do all the work by yourself, you will still lose time on an older car and invest money and effort in a vehicle that is not as good or as competent as a newer model. From a financial standpoint, maintaining an older car is just not a good investment especially if you know that the price of the vehicle will not go up and that your investment in spare parts and labor will not significantly improve the value of the car. The improvement in fuel efficiency in the past decade or so has been amazing. Today, it is far more common to see 400+ horsepower V8 powered muscle cars which can do 30 mpg. Modern vehicles are equipped with advanced technologies which improve efficiency while still retaining high performance levels, like 2.0-liter turbocharged four cylinders with over 300 HP. For example, there are multiple displacement systems which turn off a couple of cylinders, stop and go systems which shut off the engine on the stoplights, hybrid systems or turbochargers on smaller displacement engines all help achieve astonishing mpg figures. Older cars have none of that, and since the prices of fuel are rising each day, it looks like driving a clunker is getting pretty expensive, especially if you combine it with the repair and maintenance costs. In most cases, older cars produce more pollution than acceptable and can be very costly to sort out. Often you will need to replace the knock sensor, which can cost up to $2000 if done by certified mechanics or shops. It is also worth noting that different states have different laws about emissions testing. 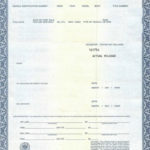 If you don`t pass the emissions test, you will not be able to register and use your vehicle. Only when you are faced with that kind of situation will you realize that you should have bought a newer car years ago. This is a very important issue, posing impending danger when it comes to older cars. If the car was well used, rusted and, beaten up, it’s likely that it has a rusted exhaust system and rusted floors. This means that exhaust fumes including carbon monoxide can enter the car`s interior, causing a serious and potentially deadly case of carbon monoxide poisoning. Always be certain that at least the exhaust system is not leaking since this is the cause of over 400 deaths per year. Also, the risk of carbon monoxide poisoning exists if you start your engine in an enclosed space like a closed garage. So always be careful and check to see if there are any leaks. Reliability and roadworthiness of junk cars are always questionable. Sooner, rather than later, you will find yourself by the side of the road, stranded and calling for a tow truck. 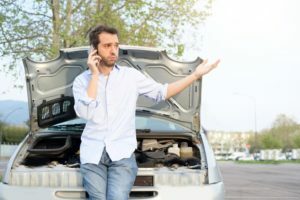 Even if you know how to get the car running again, you will lose time and get frustrated by the event. With modern cars, the risk of being stranded is minimal. Being stranded puts you into the risk of getting into an accident even if you are not driving. There are numerous reports of people crashing into cars parked by the side of the road even if those vehicles were properly marked. You don’t want to get hit while standing next to a dead car waiting for help. Old cars have old wiring and old fuel lines. The plastic isolation on the wiring is known to crumble and break over the years, while rubber hoses of fuel lines start to develop leaks after ten years or so. The risk of fire is constantly there even if you changed your fuel lines. You might have heard about vehicles that caught on fire just by standing on the parking lot. In 9 out 10 cases, the reasons were old electrical or fuel installation and failing to notice it. Sometimes, cars can catch on fire while on the road which is especially dangerous.